Even though moving is stressful, it is a great way to declutter and get rid of the things you no longer need. When you need to rent a storage unit in Lubbock, Metro Self Storage is uniquely qualified to help you manage your moving and storage needs. We offer indoor climate-controlled storage units as well as outdoor drive-up units. Our climate-controlled storage lockers are budget-friendly and ideal for valuable personal and business items. If you need a something larger, check out our 5X5 and 10X10 storage units with options for drive-up access, climate control, or interior non-climate control. At Metro Self Storage, you get value, convenience, and peace-of-mind security—it is what we call the Metro Advantage. If our wide selection of household and business storage unit sizes has you feeling overwhelmed, we can help. Our friendly storage team will work with you to assess your inventory and match you up with the perfect size for your needs and, more importantly, your budget. When you combine our month-to-month leasing and affordable storage rates with our Customer Satisfaction Pledge, you are guaranteed to have the best storage experience possible. 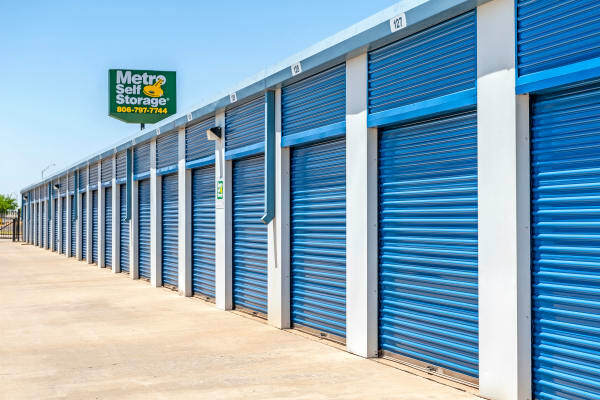 If you need a business storage solution in Lubbock, you can think of Metro Self Storage as your additional office or warehouse space just around the corner. Whether you need records storage, inventory storage, or a temporary place for office furniture, we offer small, medium, and large commercial storage units with drive-up access. Our Lubbock business storage facility provides 24-hour surveillance cameras, online bill payment, and package acceptance, which give you top-notch service and convenience. It’s easy to move in with Metro. Check out our convenient location and then call us to find out how we can help you get started with your business storage solution today. Wherever life takes you in the great state of Texas, Metro is on your way. Clean and well maintained, our fenced storage facilities feature electronic gates that require a PIN for access and boast 24-hour security monitoring. Whether it is a big transition or small decluttering project, we offer storage solutions that help make life more manageable. 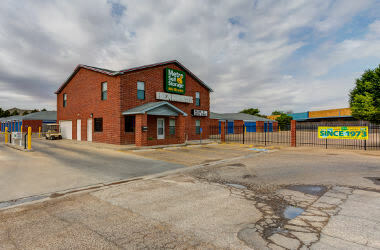 Metro Self Storage is proud to be part of the Lubbock community, and it is our privilege to serve the surrounding communities of Texas Tech University, Northridge, Bowie, Coronado, West End, Maxey, and Arnett Benson.